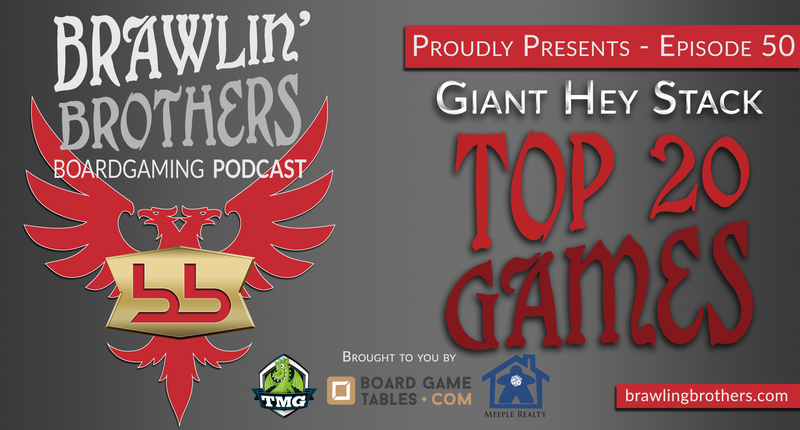 This episode brought to you by Tasty Minstrel Games, BoardgameTables.com, and Meeple Realty – The HEY STACK becomes a thing. Josh takes a trip Guadalajara, Mexican culture and TEQUILLA! Brandon acquires a copy of Twilight Struggle Collectors Edition from GMT Games and has issues with tanks, specifically the blue ones. We unveil our challenge coins thanks to Bernard the Evil Wizard. We get an awesome call from a tiny listener and promise MUCH MORE #GloriousIdiocy. We unveil our yearly Top 20 Board Games list, and explore some of our favorite outtakes from the last 10 episodes. Trouble seeing the player or just want to access the show in another way?? For a direct download, click here. iTunes users can subscribe here. Or check out our full archive, here. 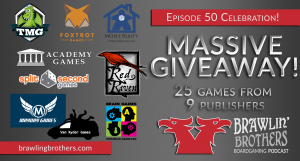 25 board games from 9 different publishers! 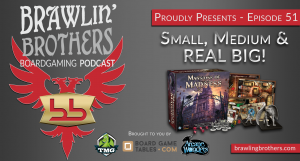 Special thanks to: Academy Games, Red Raven Games, Brain Games, Van Ryder Games, Tasty Minstrel Games, Meeple Realty Mayday Games Foxtrot Games and Split Second Games.